This course is for graduates of Transpersonal Hypnotherapy. 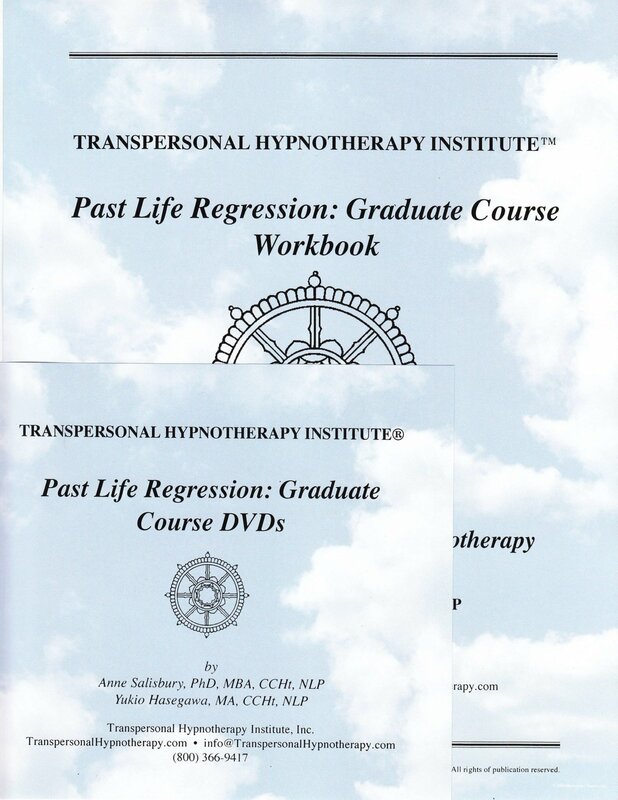 It includes two live Past Life Regression demonstration session DVDs not included in Transpersonal Hypnotherapy: Healing Trauma through Reframing Past Life Incidents and Atoning for Overt Acts. Heal past wounds and connect with your creativity. Assist clients in making amends with those they have hurt and those who have hurt them. These DVDs show you how to administer these techniques. The book broadens your understanding and helps you to be better informed when talking with clients about past lives. The “Past Life Regression” certificate of completion suitable for framing. The Book: “Journey of Souls: New Case Studies of Life Between Lives” by Michael Newton. The professional title of “Past Life Regression Hypnotherapist” which can be used in your promotional materials. Past Life Regression Demonstration #1: Healing Trauma through Reframing. Past Life Regression Demonstration #2: Atoning for Overt Acts. Past Life Regression: Ways to Present Past Lives, Possible Clues, Approaches to Working with Past Life Issues, Reframing Past Life Incidents, Atoning for Overt Acts, Inspecting Contracts. Past Life Regression Demonstration #3: Inspecting Contracts.